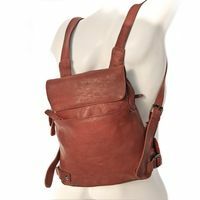 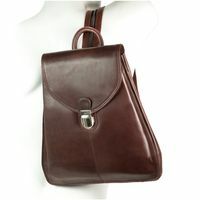 This small, narrow city bag is perfect for women who want to enjoy the benefits of a backpack bag, but still do not want to carry a large, heavy leather monster around with them. 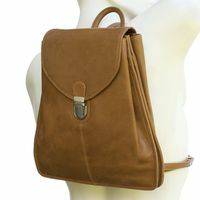 And if at some point you don’t feel like the rucksack version anymore, you can zip the shoulder straps together, so that you can carry the chic leather daypack as a stylish shoulder bag as well. The inside of the handbag backpack presents itself in three well-arranged compartments, two of them with a zipper. 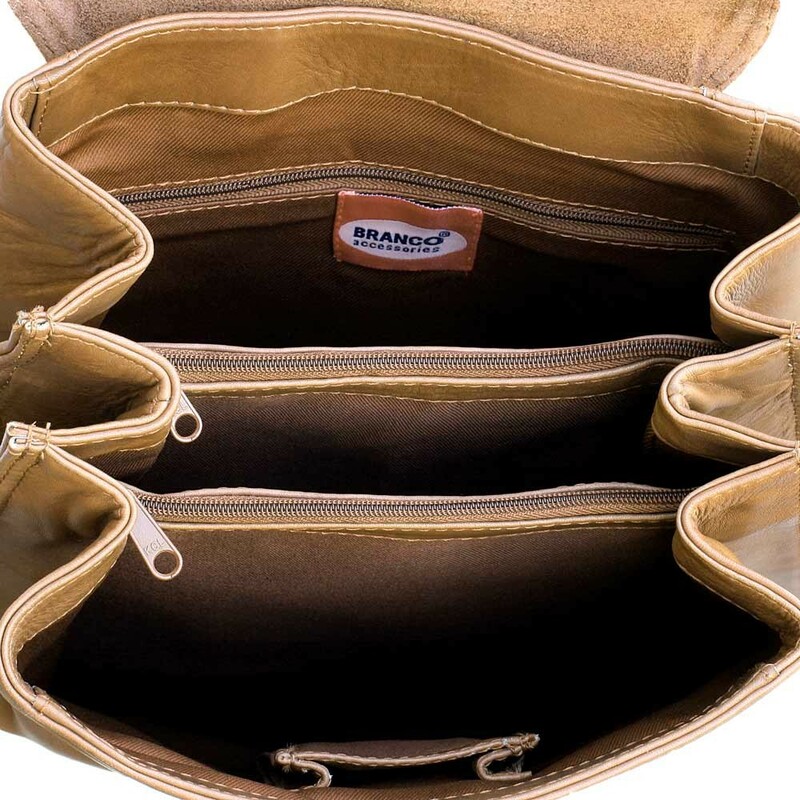 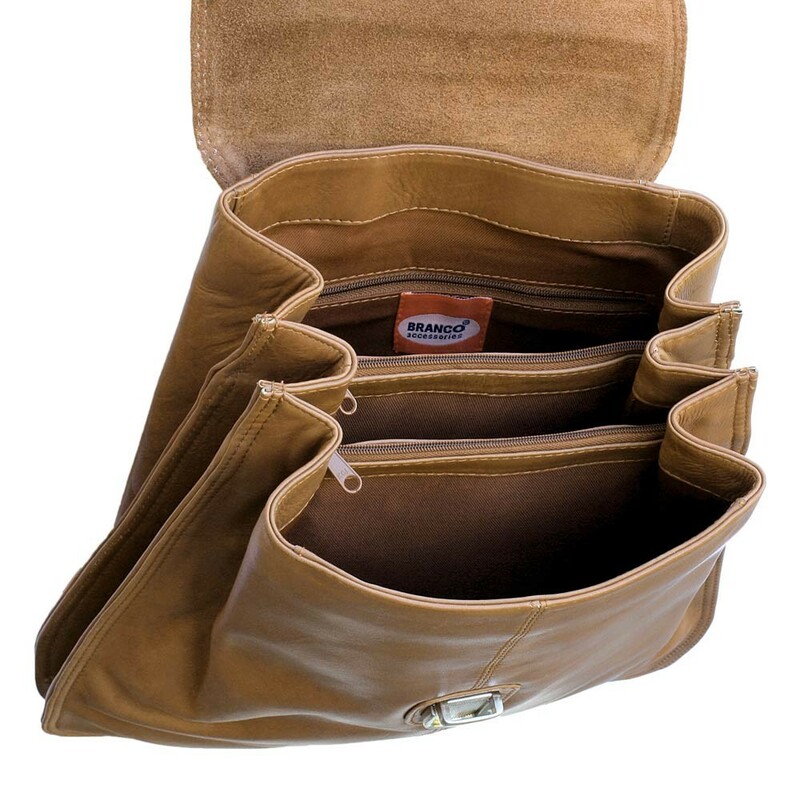 An extra pocket for your mobile phone and an additional smaller zip pocket in the lining complete the interior. One doesn’t expect it, but an e-book or a tablet computer, a pocketbook or a smaller notebook or everything that isn’t much bigger than A5 format, fits into the bag well. 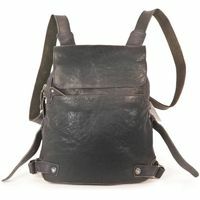 However, the leather daypack is too small for A4 documents. 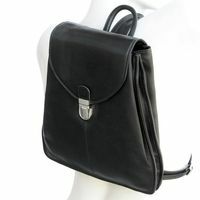 At the top edge, the width of the rucksack narrows to 16 cm, which makes it appear quite slender. 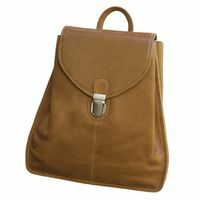 In general, the women’s backpack comes along very graceful: The small travel pack is just about 5 cm narrow and always keeps its form due to special workmanship. 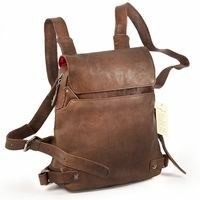 That’s also why it is very comfortable to carry and is light on your back. 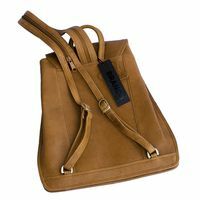 With a long zipper, you can zip the shoulder straps together to a wide carry strap, so you can also carry the bag as a shoulder bag, if needed.